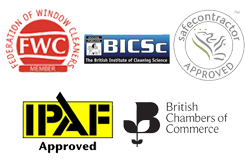 Pest Control Management | Ashford Cleaning Contractors Ltd.
Ashford Cleaning Contractors are happy to be able to offer Specialist Pest Control Services. Everything from detailed site inspections, assessments and advice, to intensive vermin control solutions, regular reliable Pest Control and Servicing for large and small premises, commercial, industrial or agricultural. We have different methods for different rodent situations, rodents can multiply at alarming rates. Therefore, such pests need to be dealt with sooner than later. Not all birds are associated with being pests but when your building begins to look untidy from droppings or you begin attracting unwanted company on a regular occurrence, it may be time to do something about it. We can offer a range of bird proofing techniques. Flies are annoying at the best of times and carry bacteria and germs with them, making them a nasty addition to any home or food environment. These pests are attracted to dark, warm and moist places where food is easily accessible. They can cause many problems and need to be dealt with immediately everything from Bed Bugs to Cockroach infestations, and then preventative controls. No one wants to be faced with swarms of Wasps at any time. If you have a Wasps nest in or on your premises or the beginnings of a Wasp Nest call immediately for a swift and fool proof solution. Fleas are a very unwanted pest in any environment, they carry a host of bacteria and germs with them. We offer very swift and effective solutions to Flea infestations and also offer preventative measures to keep them at bay. For free advice and quotations, please do not hesitate to contact us.